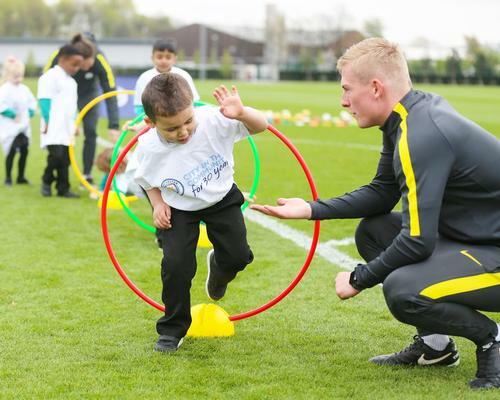 MCFC's City in the Community foundation will host a ‘10@10’ event at the Etihad Campus – the club's new multi-million pound academy – as part of a weekend of physical activities across Greater Manchester. The sessions will be run by coaches from City in the Community, which engages with more than 20,000 young people every week through a variety of programmes. The 10@10 initiative is based on encouraging children to take part in 10 minutes of exercise every day at 10am, helping to generate healthy habits around physical activity. It forms part of the Super Movers programme – a partnership between the BBC and the Premier League that gives primary school teachers free, curriculum-linked resources to inspire children to become more active throughout their school day and enhance their learning. “The collaboration with Active Uprising allows us to build on a shared vision with ukactive as we jointly create a unique opportunity for local kids to be active while at the Etihad Campus," said Mike Green, head of City in the Community.